I think it’s quite easy to get into a rhubarb rut, most people make a crumble with it or stew it (both of which are delicious), but I was interested to see what else could be done with it. I found a guardian online article entitled ‘The 10 best rhubarb recipes’ and took inspiration from that, and also from food blog Vanilla Garlic. 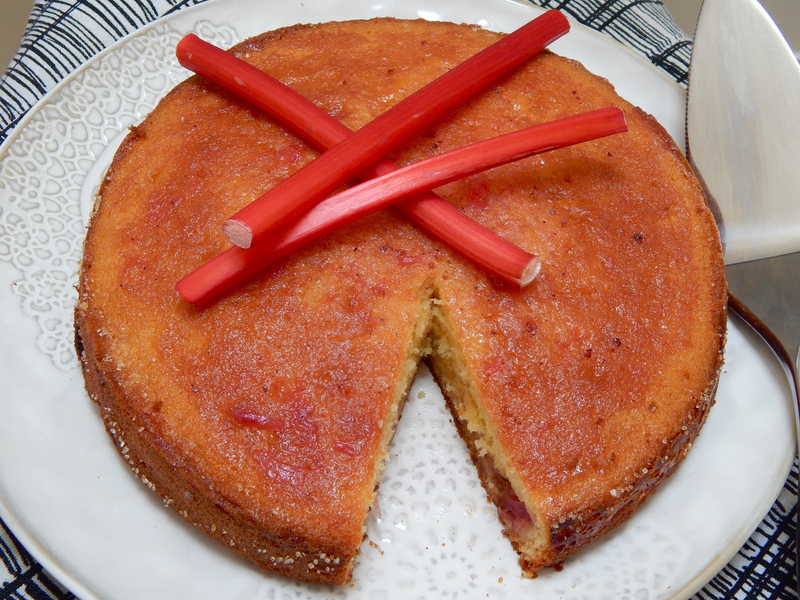 So behold recipes for Pickled rhubarb, Rhubarb & custard cake, and Fennel basted pork chops with rhubarb! 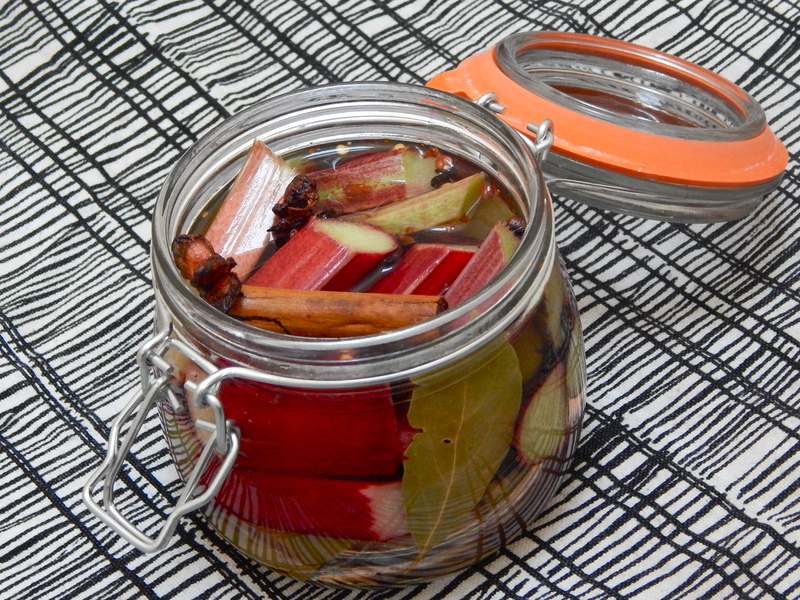 Pickled rhubarb is really quick to make (apart from having to wait 2 days to eat it!) and is delicious with cheese and charcuterie – particularly goats cheese camembert which is an excellent invention that you can find in Sainsbury’s. 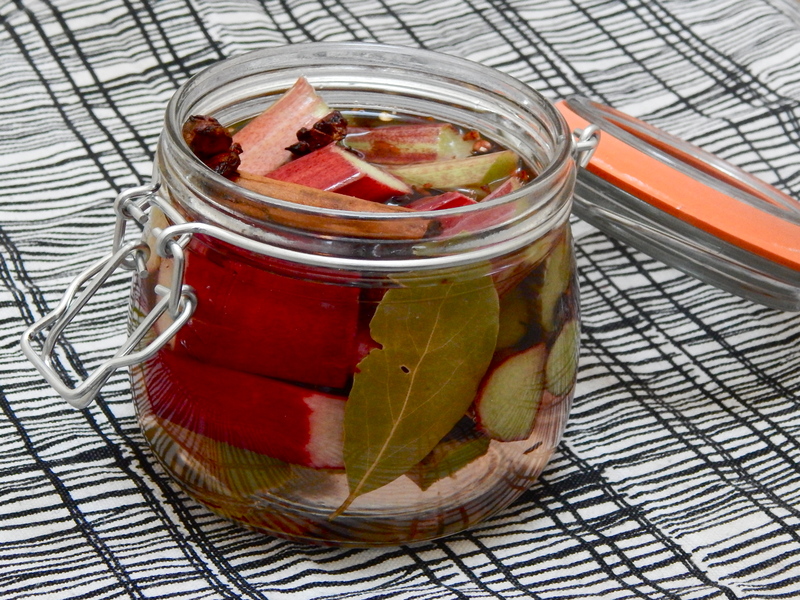 Pickled rhubarb would also make a great foodie present for someone! 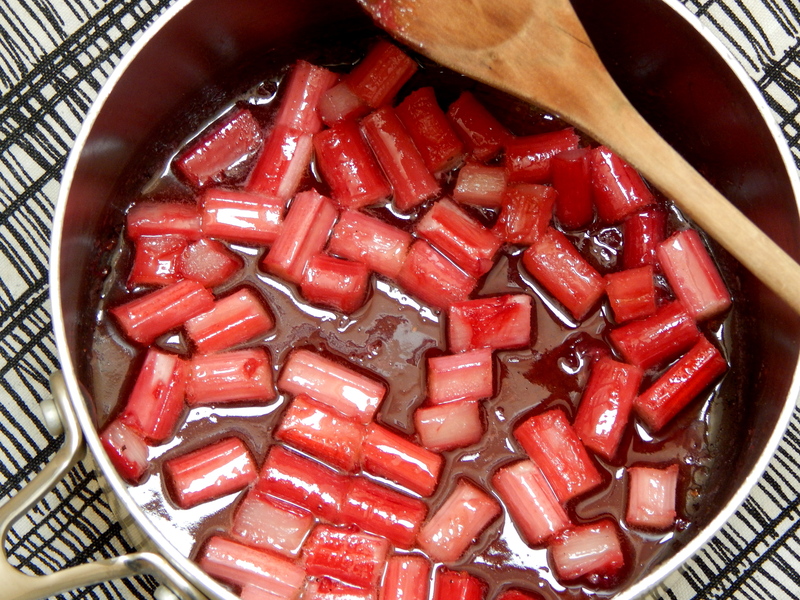 Trim the rhubarb and chop into approx 2inch chunks. Put into the preserving jar with the spices. 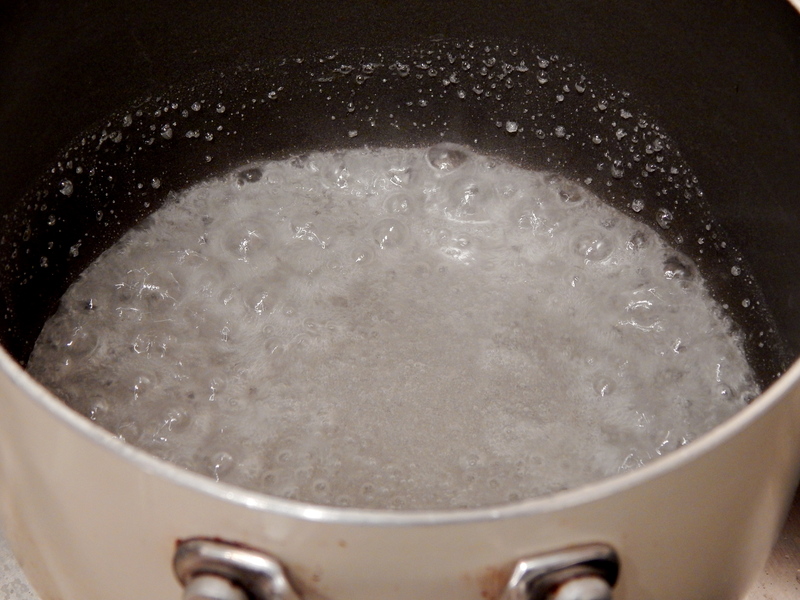 Put the sugar, salt and vinegar into a small saucepan and boil until the sugar has completely dissolved. Pour the mixture over the rhubarb and stir. Put the lid on and leave in the fridge for 48hours before using. Use within a month. 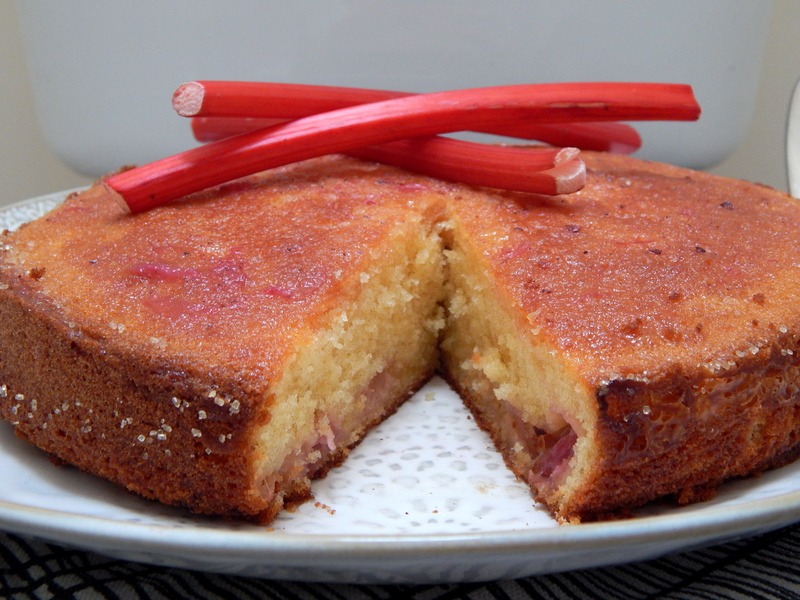 Pork goes well with apple, apricot, raisins – loads of different fruits – so why not rhubarb? The fennel adds an extra dimension of flavour, and we served this with celeriac mash and green beans. This would make a nice addition to a spring dinner party! Using scissors, snip the rind of each chop at approx. 1 inch intervals. Put the fennel, coriander, pepper and salt in a pestle & mortar, and crush (but not to a powder). Rub this into each chop. If serving with celeriac: Put the celeriac into a pan, cover with water and bring to a boil. 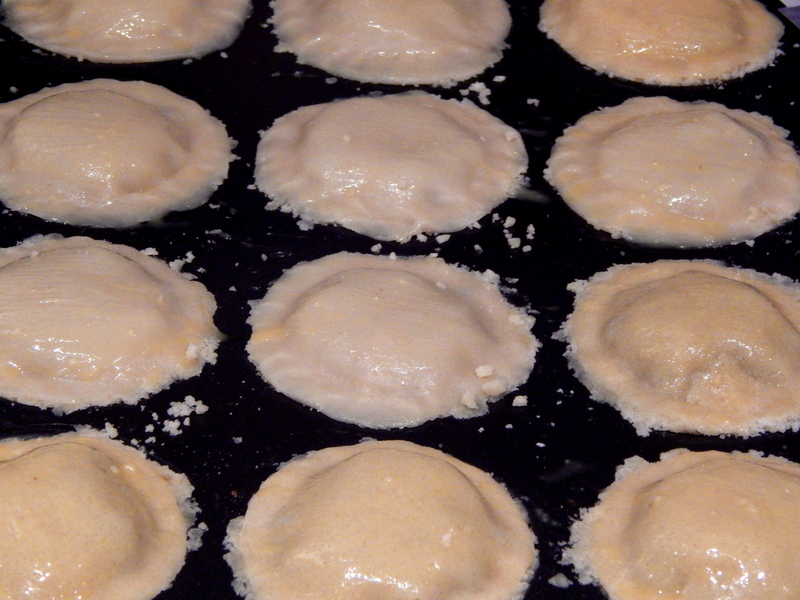 Cook for around 20 minutes until soft, then mash with butter & milk. Keep warm. Melt a third of the butter in a frying pan with some oil and hold the pork rind-side down in the pan for 2-3 minutes, until browned. Fry the pork chops for 2 minutes on each side, then add the rest of the butter and the orange zest to the pan. Baste the chops and turn them over once. Pour in the sweet sherry and let it bubble for a few seconds, then add the orange juice and bring back to a simmer. 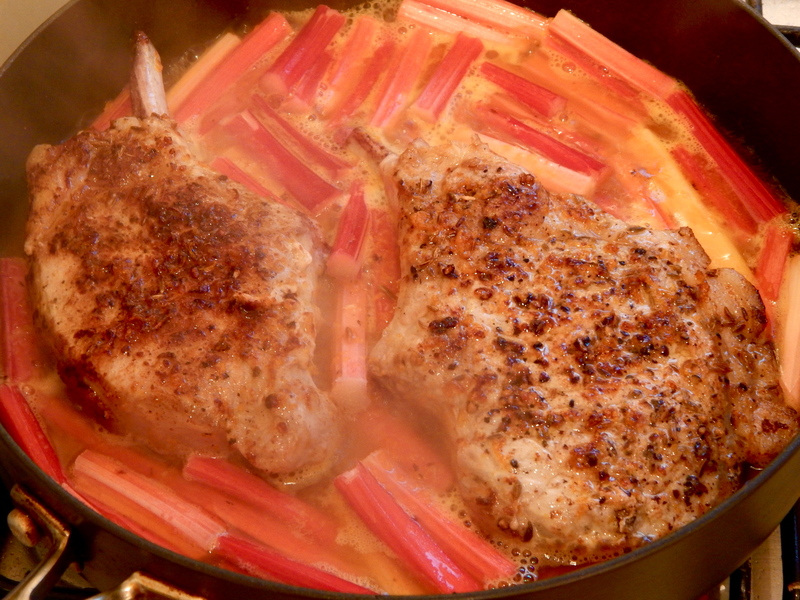 Add the rhubarb to the pan, fitting it in around the pork chops, and drizzle over the honey. 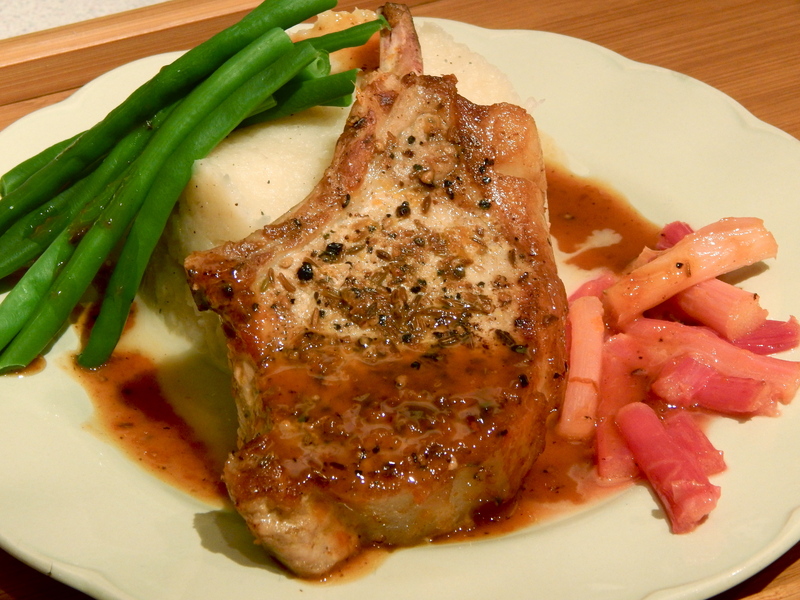 Cook for around 4 minutes, until the rhubarb is soft but not collapsed, and the chops are cooked. Using a slotted spoon, take the pork and rhubarb out of the pan and keep warm. Stir the sauce and let it simmer until it has thickened, but before it turns into syrup. Serve with the celeriac and steamed green beans. 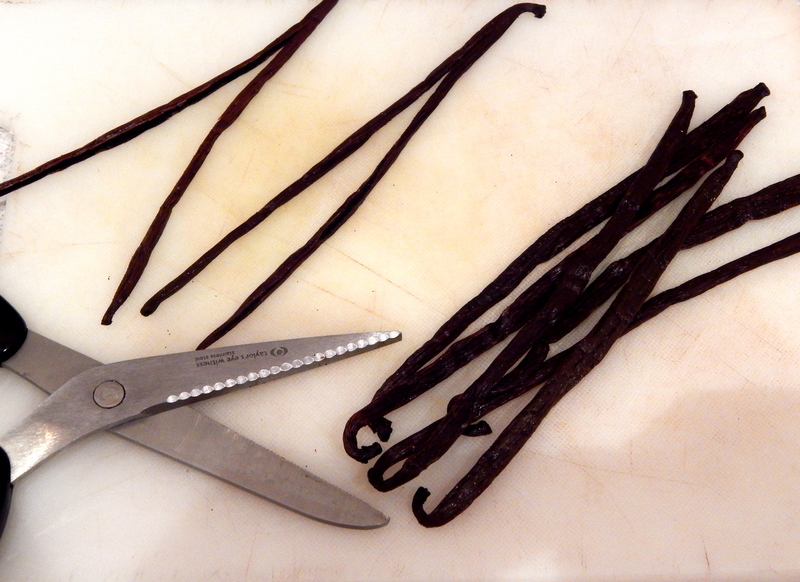 In a saucepan, heat 25g of butter with the cardamom, 1tsp of the vanilla extract and 50g of the sugar. 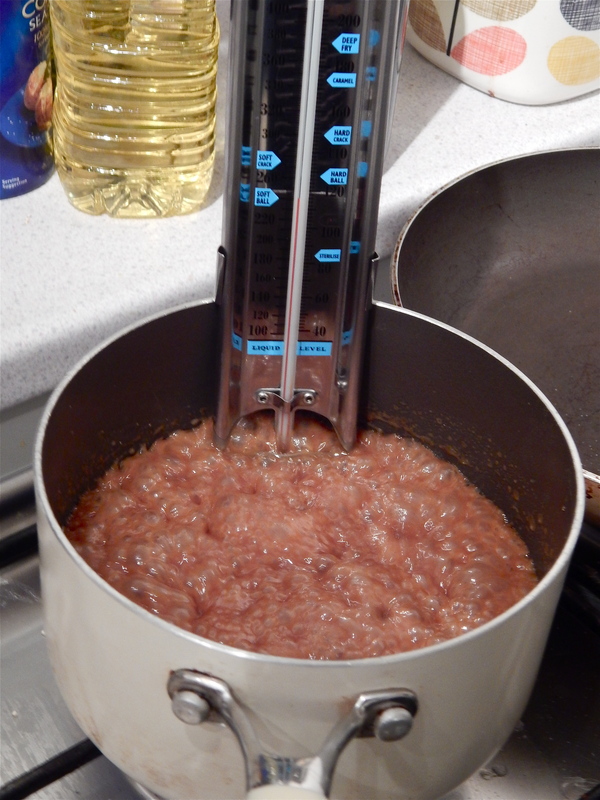 When it starts bubbling, add the rhubarb and simmer for a couple of minutes until cooked but still holding its shape. Take off the heat and leave to cool. Cream the butter and sugar together until light and fluffy. Add the eggs one at a time, then add all the other dry ingredients and the vanilla extract and fold together to make a batter. 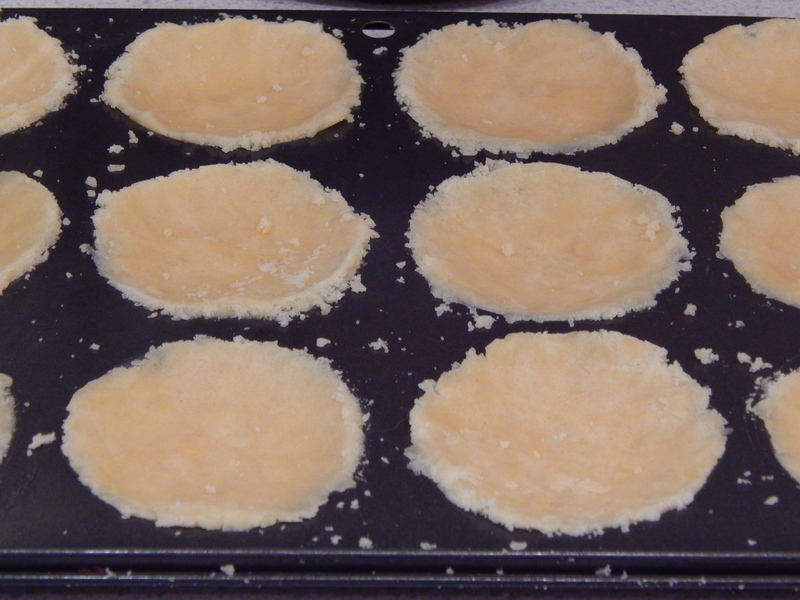 Line a 23cm baking tin with greaseproof paper and pour the batter in. It is quite a thick batter so may need some help from a spatula to make it even. Spoon the custard in a layer over the batter and add the rhubarb on top, keeping some of the syrup from the pan for drizzling. Bake in the oven for approx 45 minutes, or until a skewer inserted into the middle comes out clean. Once cooled, drizzle with the remaining rhubarb syrup and enjoy! Thanks for reading my blog over the past year – here’s to the next one! 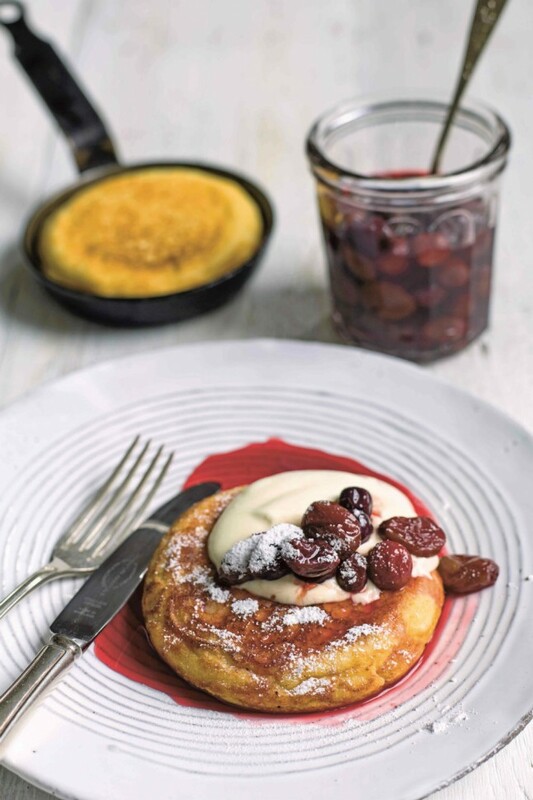 Just a quick one re the important food-related business we all have today (in the UK anyway) – Shrove Tuesday = Pancake Day! 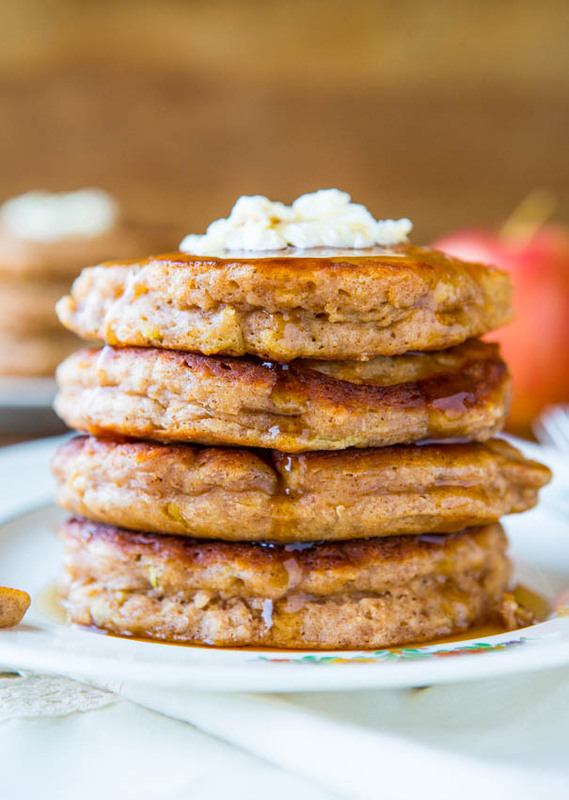 I haven’t decided what to have with my pancakes this evening, but I have made a little pinterest board with some ideas on, so if you feel like doing something other than lemon and sugar take a look! I have included some savoury pancake recipes on my pinterest board in case the urge takes though! It’s entirely possible (and preferable), that anyone reading this is doing so snug at home, relaxed and ready for Christmas with the presents all wrapped, the food all bought, drinks all chilling in the fridge… if so, I salute you and you can keep that smug smile on your face for as long as you like! 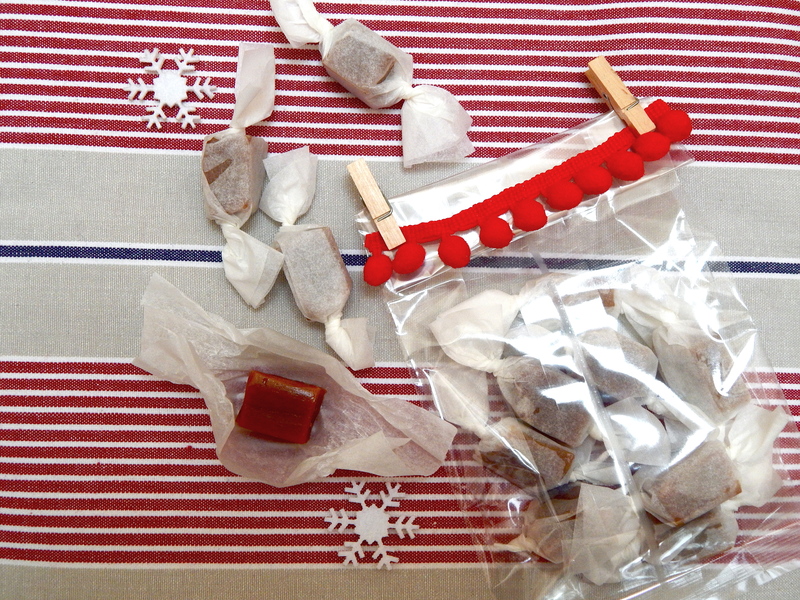 If you’re a present or two short, or you want that homemade touch without bags of effort then I hope I can help. Firstly, who doesn’t like salted caramel? 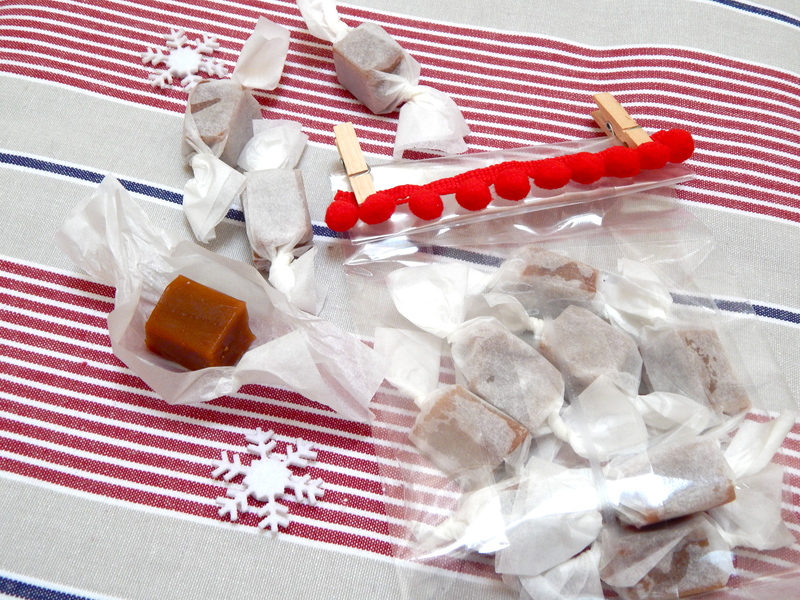 Or homemade sweets? 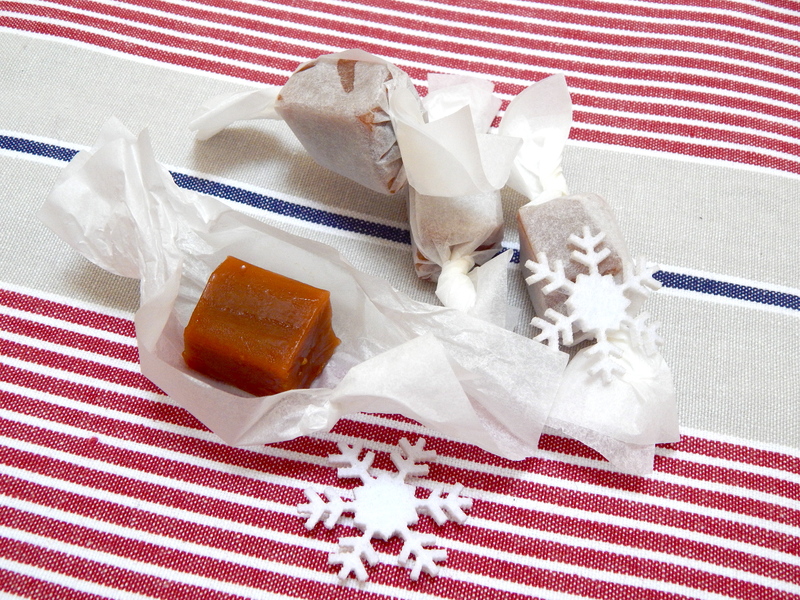 Secondly, these homemade salted caramel sweets are quick and pretty easy to make (if you keep an eye on them), and they only need a couple of hours to set, so they can be made this evening or tomorrow morning and be ready in time for Christmas day. Thirdly, they are made from things you probably have lying around the house anyway – the only exception possibly being a sugar thermometer*. *In which case, a jar of salted caramel sauce would also make a nice present for someone – just follow the recipe until the sugar thermometer goes in, and instead, cook on a medium heat for another 3 minutes, then pour into a jar or bottle. 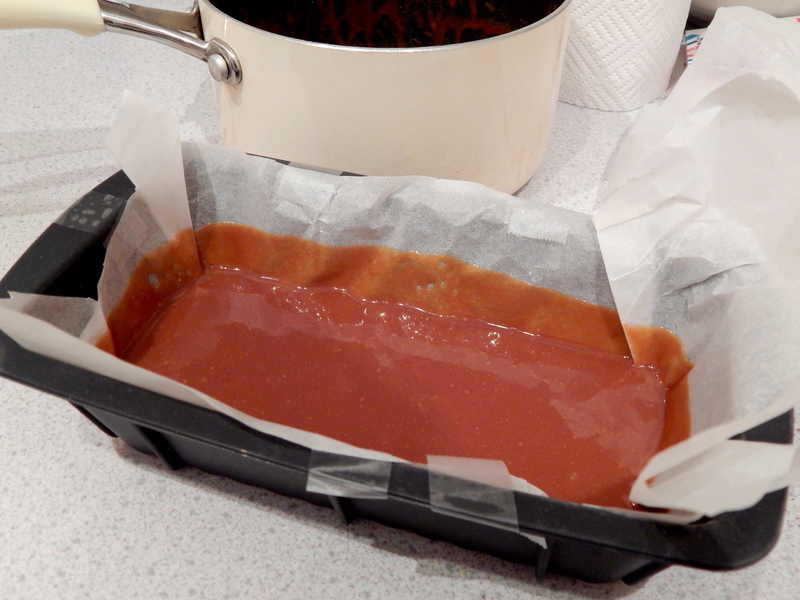 Line a loaf tin or square tray with baking/greaseproof paper and set aside – this will be what the caramels set in. Put the sugar in a medium saucepan with 2 tablespoons of water. Cook over a medium/high heat until the sugar dissolves and starts to bubble. 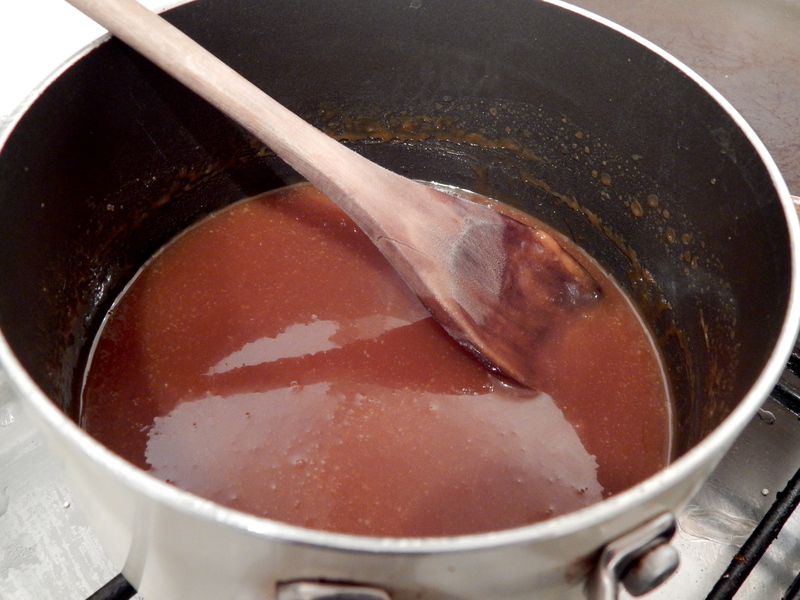 Keep cooking the sugar syrup until it turns a dark amber colour (see photo above). This can take a few minutes but the colour/smell can change quite quickly so keep an eye on it and take it off the heat as soon as it looks ready. Once you’ve taken it off the heat, add in the rest of the ingredients – the mixture will bubble up and may spit at you so be a bit careful! When stirred in, put the saucepan back on the heat and add the sugar thermometer. Heat the mixture until the temperature on the sugar thermometer reaches the ‘hard ball’ stage (260F). As soon as the temperature hits 260F remove from the heat and pour into the prepared loaf pan or dish you are setting the caramels in. 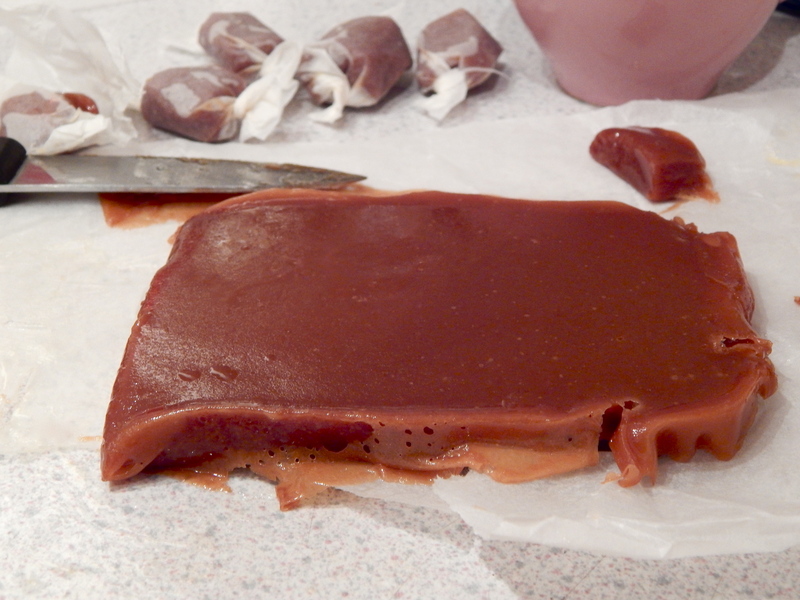 If you wish, you can add some more flaked sea salt to the top of the caramel. Let the caramel cool for a couple of hours before cutting into squares or strips and wrapping in baking/greaseproof paper. I found cutting with a greased knife made it a smoother process. 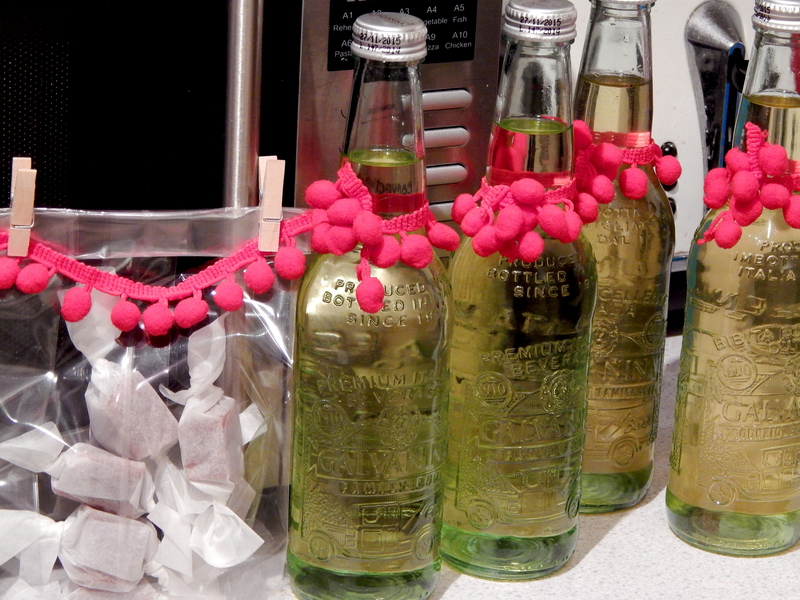 Here’s a photo of my salted caramels and Limoncello/Arancello bottles ready to be given to family this Christmas! 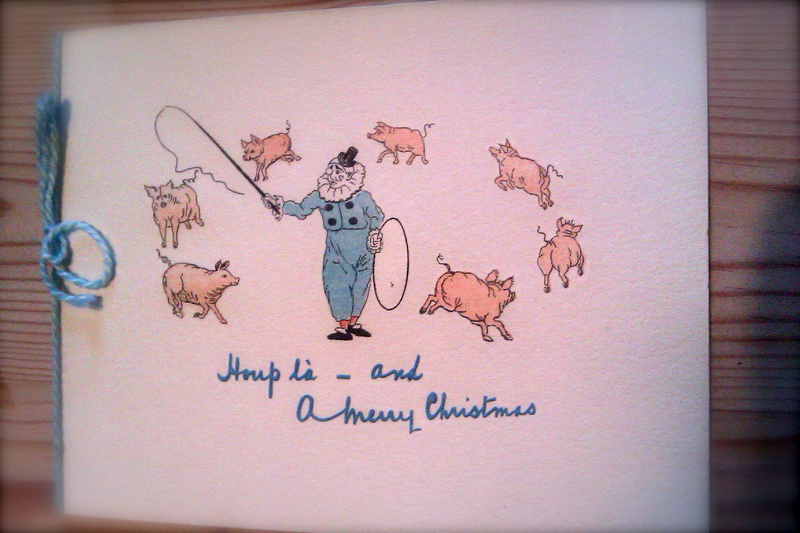 Because if a clown and hoop la-ing pigs doesn’t say Merry Christmas, what does?! Buying a real tree has definitely helped this year, although we misjudged the size of the tree versus the size of our living room, and now can’t really see the TV. 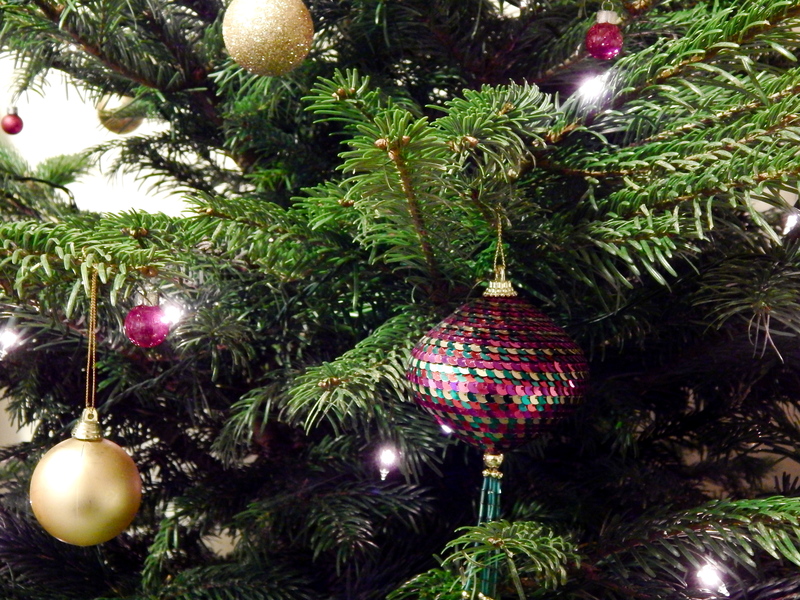 Oh well, the tree is prettier! 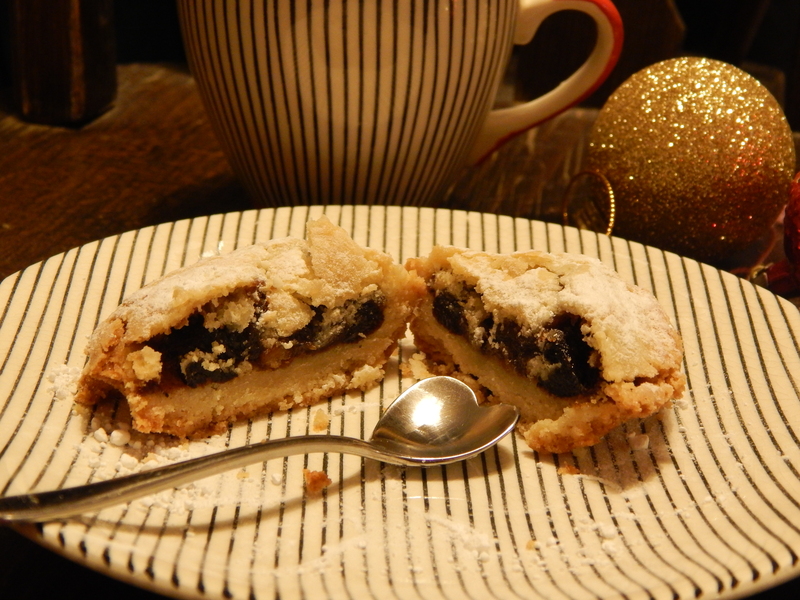 They’re not the most professional-looking mince pies, but they make up for that in taste. 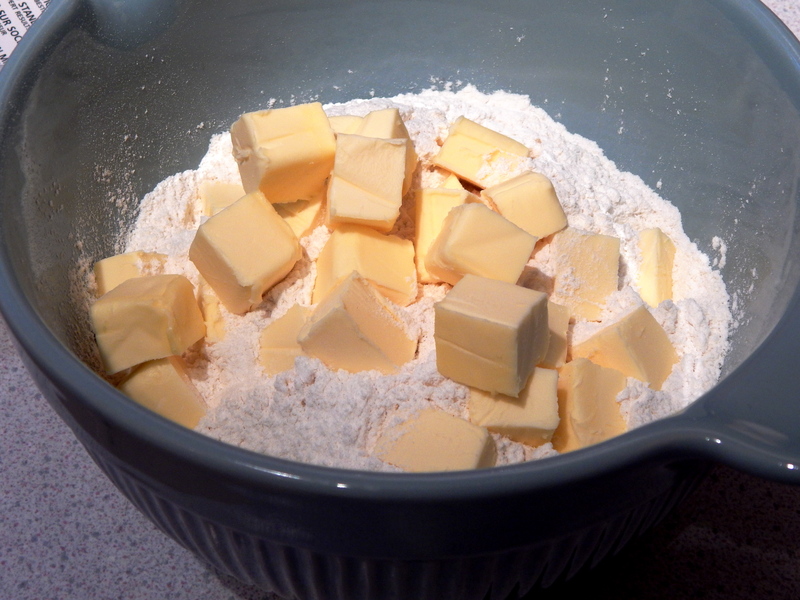 For the pastry: Put the cold cubed butter and the plain flour into a large bowl and rub together with your fingers until the mixture resembles breadcrumbs. (It’s good to have cold hands for this bit!) Add the golden caster sugar and a pinch of salt, and combine well. Lightly grease a cupcake tin (or 2). 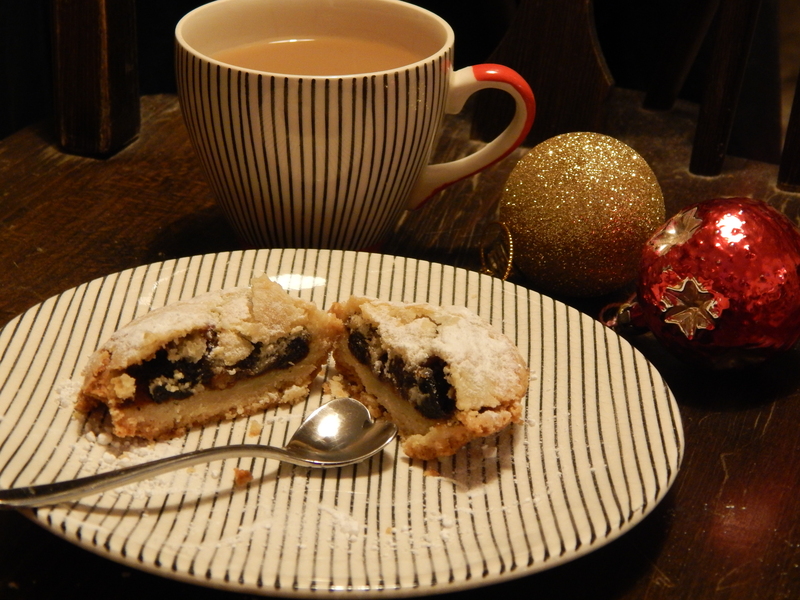 As the dough is pretty dry and doesn’t have egg or water added to it, I find it easier to knead a small amount at a time, rather than all in one go – a walnut sized piece is enough for each mince pie and a good amount to knead at a time. 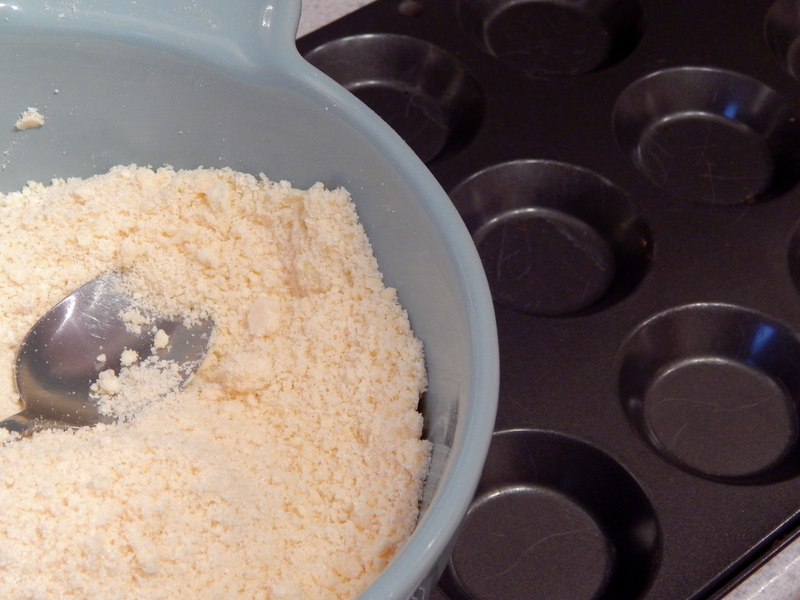 When pliable, push each ball of dough into your cupcake tin with your fingers. 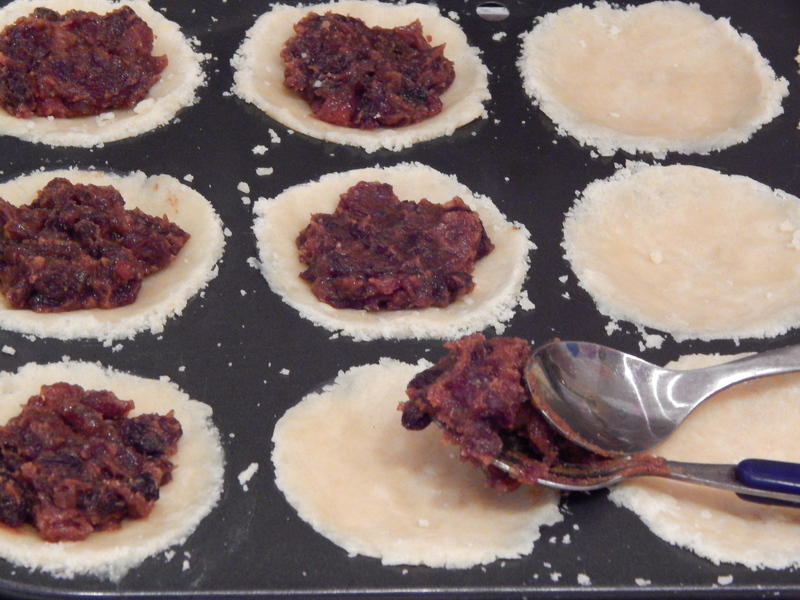 Now it’s time to add the mincemeat – about a teaspoonful is a good amount. 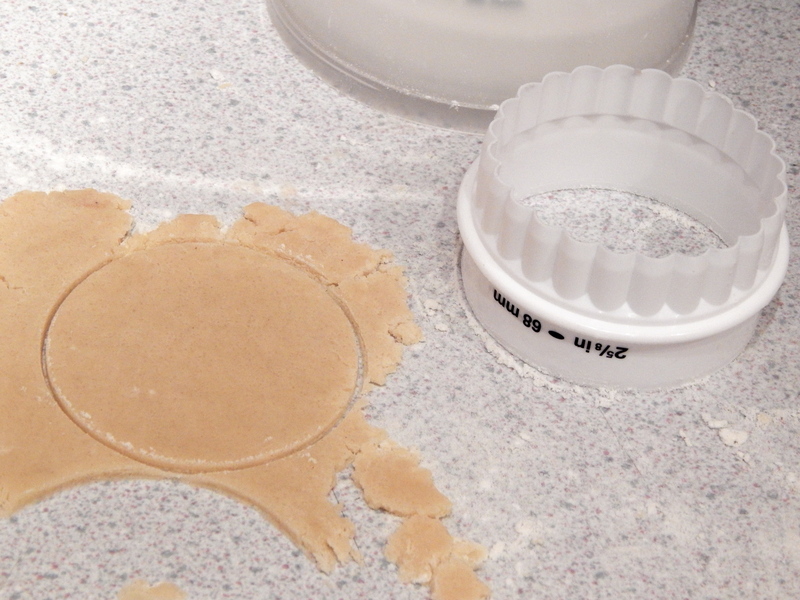 Next, either roll out a small amount of the dough (after kneading briefly) and cut out circles for the lids – a 68mm cutter is perfect, or form a circle from squashing a small ball of the dough in the palms of your hands until it’s the right size (it’s good to have warm hands for this bit). 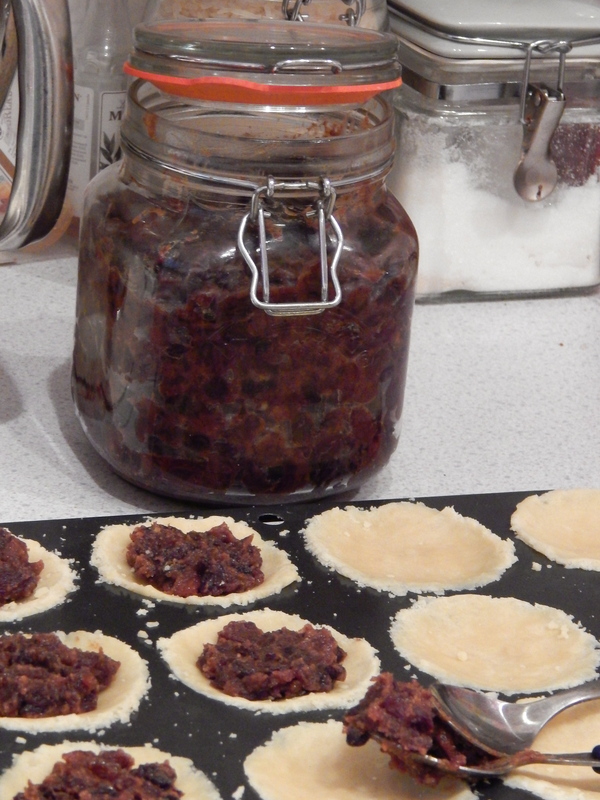 Top the mince pies with their lids, pressing down at the edges to seal – you don’t need to seal them with anything as they’ll stick fine on their own. 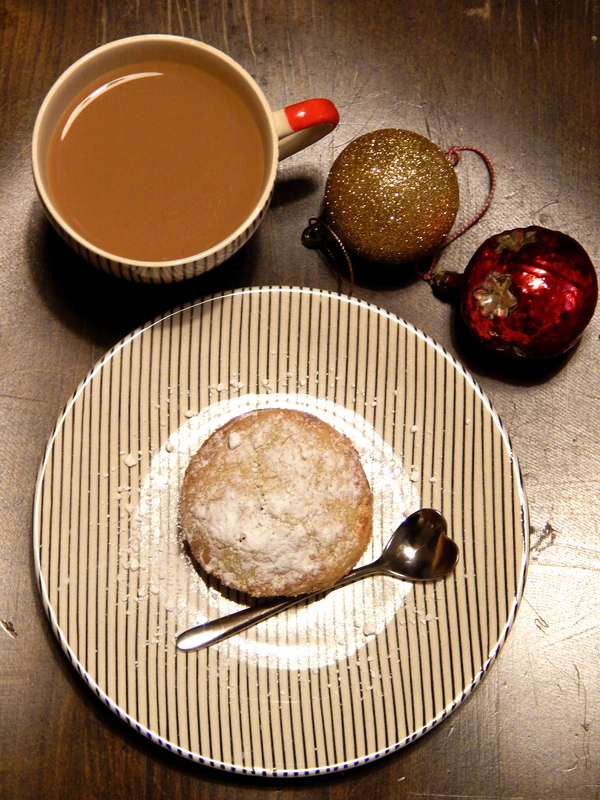 Brush each mince pie with some of the beaten egg, and put into the preheated oven for 20 minutes or until golden brown. 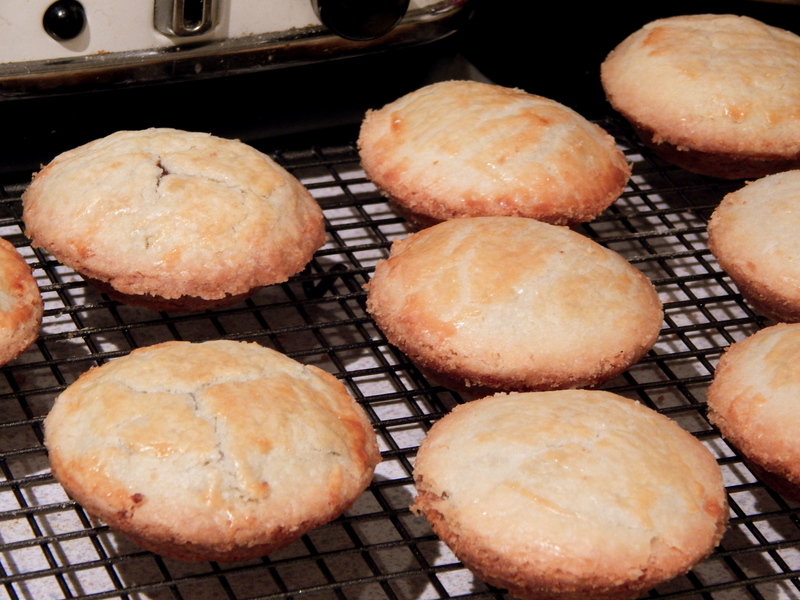 NB: The mince pies without the cracked lids are the shop-bought pastry tops. 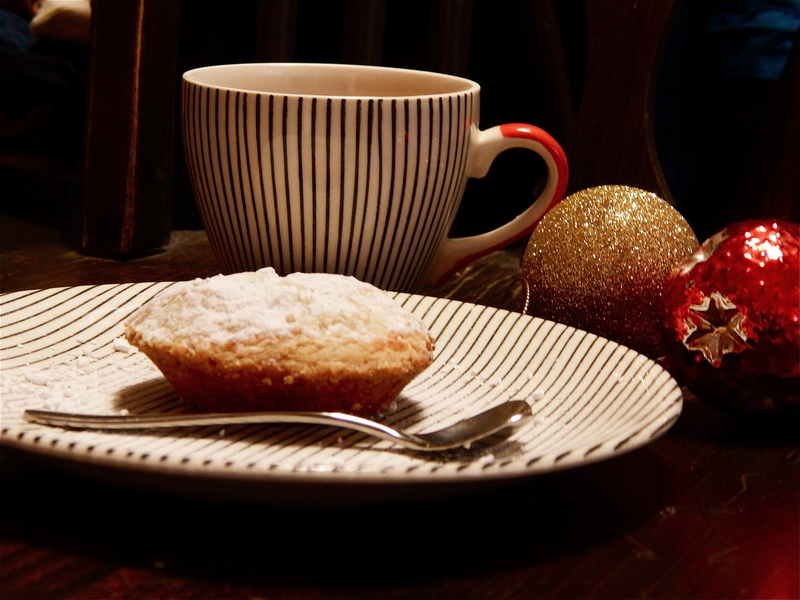 When ready to serve, dust liberally with icing sugar and make a pot of tea – or some mulled wine. Delicious! I’ll be honest, i’m struggling with motivation a little bit at the mo – blog-wise and life-wise, and now that Christmas is turning up pretty quickly, I’m realising I need to catch up with that too! 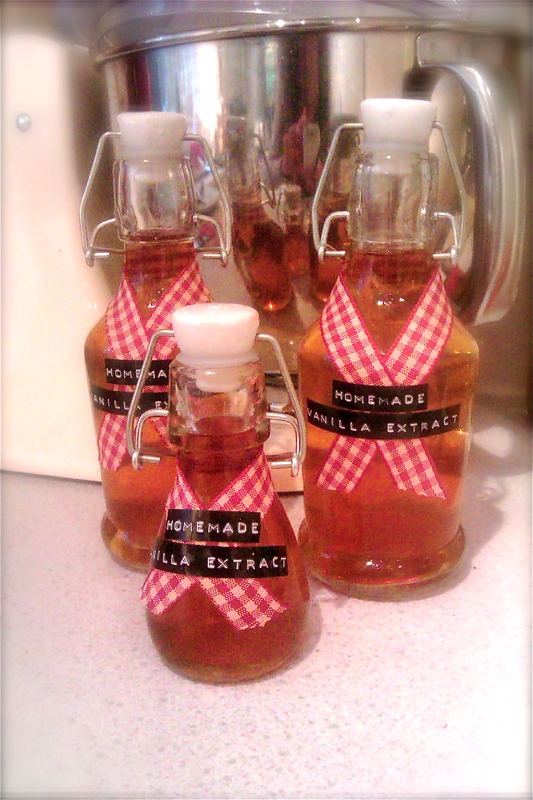 I made Vanilla Extract last Christmas for friends and family, and I’ve had a request for more this year. This is fine, as it’s a really quick and easy thing to make – but it does need about two months to mature, so I really should’ve made it a month ago. It will be ok though, i’ll just give it to people with a little ‘Best after’ note so they know when to start using it! 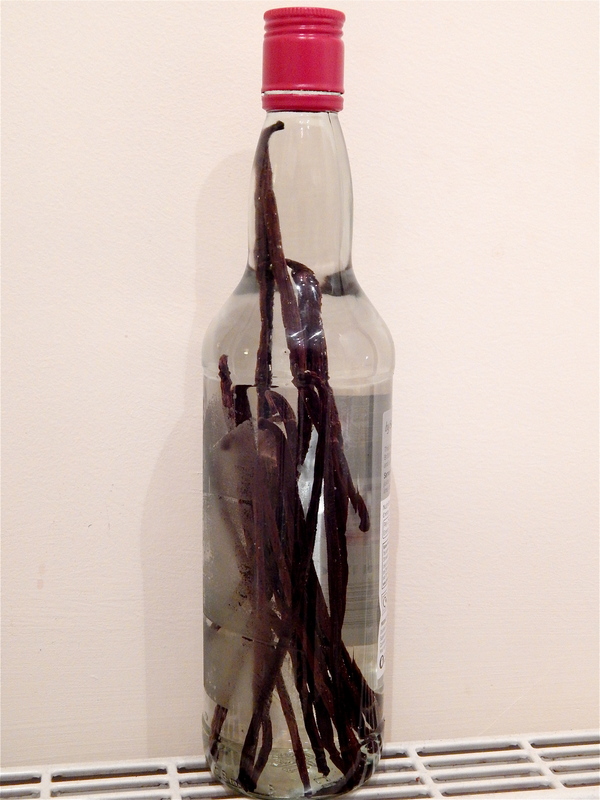 Vanilla extract is made with only two things: Vanilla beans/pods, and alcohol. 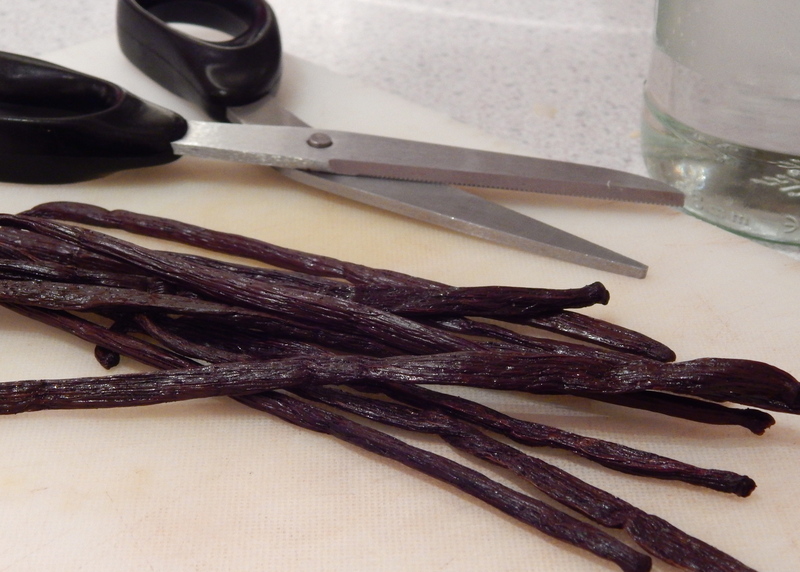 Commercial Vanilla extract can have sugar syrup in it too, but if it’s just used for baking there’s no need. 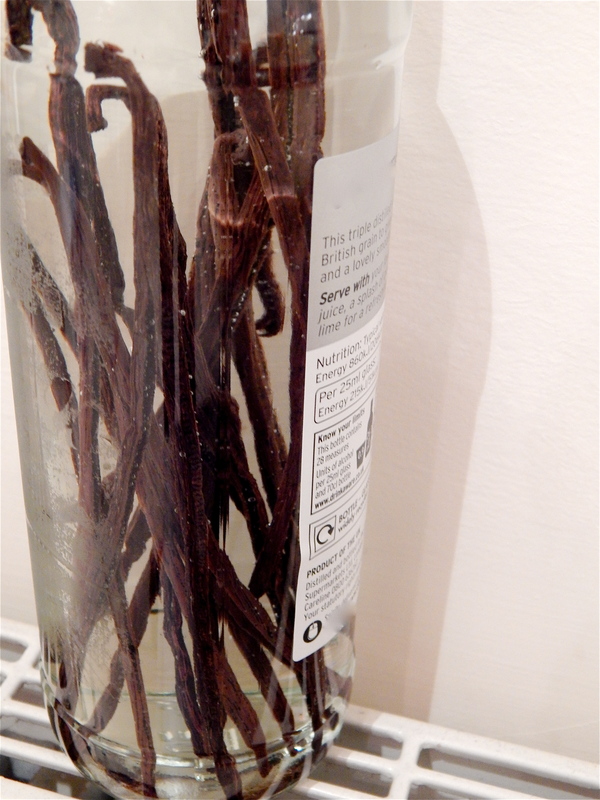 Vanilla beans can be expensive in the supermarket, and you’ll need quite a few for this recipe (depending on how much you want to make), so I tend to buy them in bulk on Amazon or Ebay – this year I bought a pack of 10 ‘extract grade’ beans from here – they were £2.30 and they were perfectly good – not dry, and smelt amazing. You don’t need to buy expensive alcohol either, I usually buy standard vodka as it has the least flavour, but I know people also use rum or bourbon which would be nice in baking too. 1. 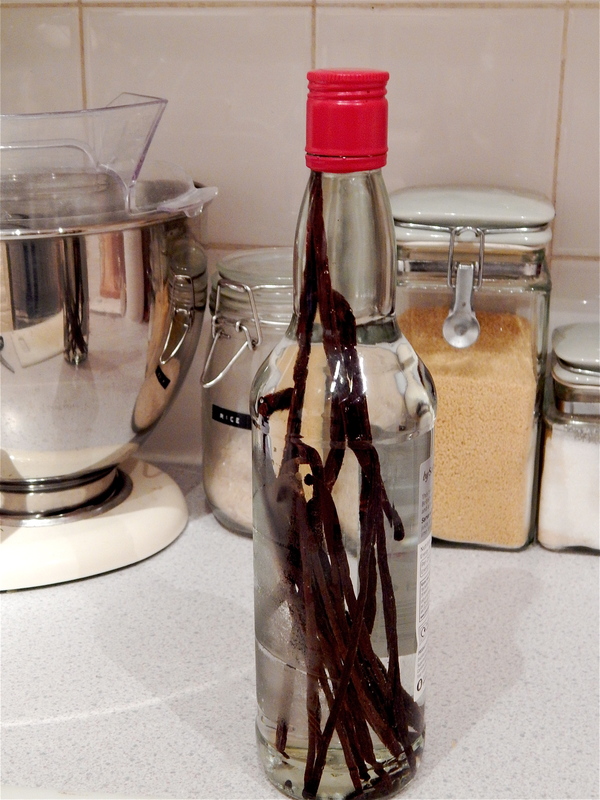 Cut your vanilla beans in half length-wise with kitchen scissors or a knife – if you’re going to leave them in the jars/bottles to continue maturing, leave them connected at one end (it looks prettier!). 2. Put them in your bottle of alcohol. 3. Leave for as long as possible! If you have your gifting bottles/jars ready, you can make the extract straight into these – just divide up the amount of beans/alcohol, and make sure you sterilise the jars before using. I haven’t got round to buying nice bottles yet (told you I was disorganised this year! ), so will be leaving mine in the vodka bottle until the last minute, and then decanting and fishing out the pods so they can continue to mature in their new bottles. P.P.S. Happy thanksgiving to any American readers!